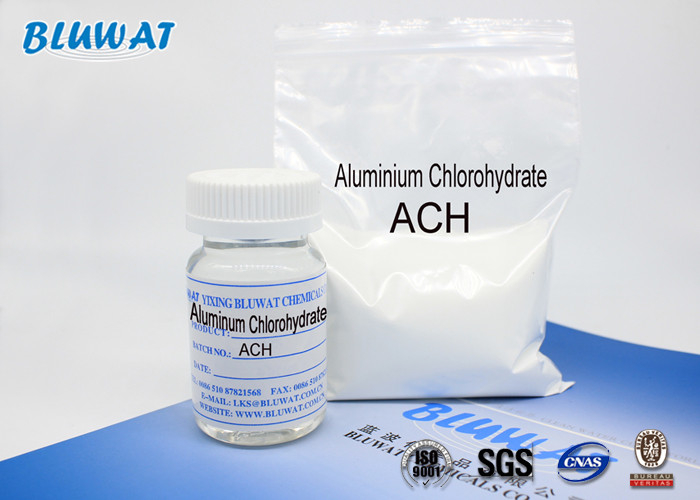 Aluminum Chlorohydrate (short name is ACH) is Aluminium-based Coagulant, the most concentrated material of the PAC family, it offers the maximum alumina and basicity available in a stable solution form. ACH liquid is typically defined as at least 23%min Al2O3 and 83% basic. As it has the highest polynuclear content and highest level of neutralization, it can deliver the benefits of PAC to the ultimate degree. ACH is a workhorse product in drinking water and industrial wastewater applications, as it can provide performance across a wide variety of water conditions. With it's high alumina content, it is the least freight sensitive of any of the PAC products. It is accepted as the replaced product of PAC (Polyaluminum Chloride) used for the water treatment ,to reach the same result when treating water. It is less consume quantity than PAC, very friendly to environment . It can lead to quick formation of flock with big size and rapid precipitation. It has widerange adaptability to thewaters at different temperatures and a good solubility. The solution of ACH is slightly corrosive and suitable for the automatic dosing and convenient for eperation. It is generally employed as the primary coagulant in potable water and industrial water treatment plants. For TSS (Total Suspended Solids) removal, COD (Chemical Oxygen Demand) reduction, BOD(Biological Oxyen Demand) and TOC(Total Organic Cabon) removal.